Music is something that brings people together, and Hand in Hand, with their high-quality music festivals giving a stage in China to some of the best kiddie-friendly musical groups, is doing just that. We decided to have a chat with one of the founders, Rebecca Kanthor, about some of the great things they are doing with this event geared towards igniting a love for music in these youngsters, along with some of the massive plans they have in the years to come. 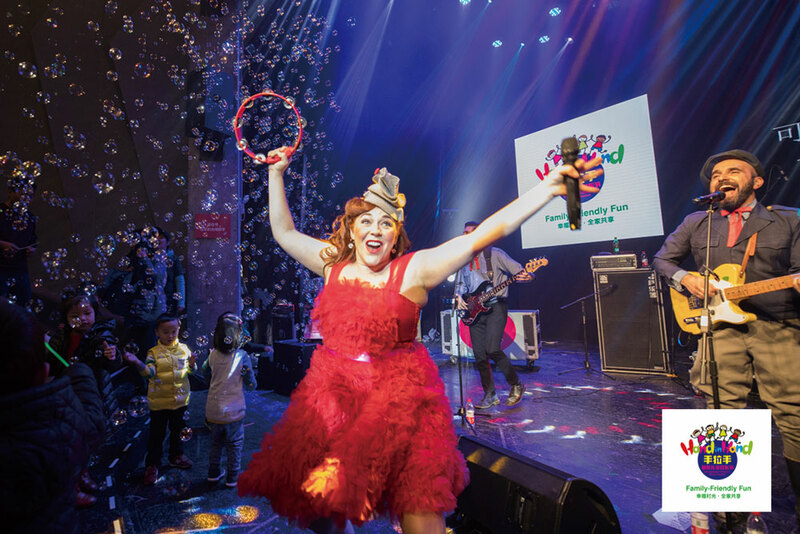 Make sure to check out the Hand in Hand International Children’s Music Festival when it comes to Beijing with Lucky Diaz and the Family Jam Band (USA) and Hippe Gasten (Holland) on June 3 at the Beijing Exhibition Theater (10am-2pm). Tell us a little bit about the reasons why you decided to organize a child-focused music festival? The two of us met at a live show, and before we had kids, we’d spend our time together going to concerts and music festivals. That all changed when we had kids. There were just no music festivals that catered to parents with kids. We organized this festival because we wanted to have a music festival we could take our own kids to and we realized there are a lot of other parents like us in China that want to share great music with their kids, but don’t have an opportunity to do so. Every aspect of the festival is designed with the youngest music fans in mind. We keep the sound levels to 85-90 decibels to protect kids’ ears and provide stroller parking and diaper changing stations so that families could have a more comfortable experience. We put lyrics up on the screen so parents can understand the songs, and invite kids up on stage with the bands to dance along. It’s a lot of fun! How did you both settle on the name Hand in Hand? Hand in Hand is exactly what we want our music festival to bring to families. We want parents and kids to be able to enjoy live music together and also for kids in China to share music and learn about other cultures through music. We’re an international family ourselves and we love the idea of bringing people together through music. What has the reception been like so far? Have you noticed a growing interest in China for these sorts of experiences? We couldn’t have expected how popular our music festival would turn out to be. We’ve taken Hand in Hand all through China and at every stop, parents keep telling us this is exactly what they were looking for. And the kids…well, you just have to see them dancing around to know that they’re having a great time. We think that parents in China are really looking for ways to expose their kids to foreign languages and cultural experiences. And the parents want to participate and have fun too. How do you hope to expand this concept in the future? Over the next five years, we’re going to bring kiddie bands from 10 countries to 100 cities in China. We think that kids and families all over China need to hear this music, not just families in the bigger, more international cities. We have bands lined up from Germany, France, Australia, England, Finland and other countries that play a wide variety of genres from hip-hop to rock, even metal. We also want to inspire local musicians to make better music for kids, and we’re committed to helping them develop and reach new audiences. What have been some of the challenges in making this happen, and touring with Hand in Hand? Most music festivals are just in one city, but our music festival travels. Each tour takes us to almost ten cities. That means both bands, plus our entire sound and lighting crew travel with us. It can be hard to put on two shows a day and then jump on the bus for a long drive to the next city. But as this is our third time putting on the festival, by now everyone gets along like a big family. Lucky Diaz and Alisha Gaddis, the lead singers of Lucky Diaz and the Family Jam Band, bring their 2-year-old on tour with us, and all the crew and band members take care of her together just like an extended family. Often it can be difficult for parents to connect with kid-friendly music. Can you explain how Hand in Hand is trying to correct this through the type of musical acts that you choose? We’re tired of hearing kid’s music that is boring or too simplistic. We think kids are more sophisticated than that and can appreciate really good music. The bands that we select to tour with Hand in Hand are some of the coolest and most inventive bands making music for kids and families today. 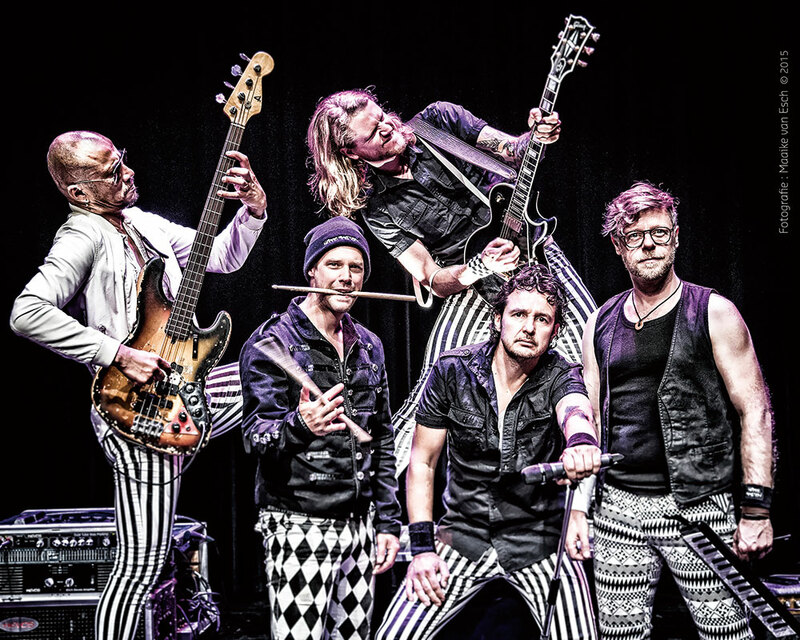 The musicians are all top-caliber performers; for example, the sax performer in Lucky Diaz performs with Brian Setzer Orchestra, and the drummer in Hippe Gasten plays with one of the top bands in Holland. Their lyrics are also really meaningful for parents and kids. So parents will definitely not be bored! As music lovers, what are some aspects of your own musical journeys that you hope your children will also have when they get older and begin developing their own taste? We hope our kids experience music as something fun and enjoyable, not as something that is forced on them. We love letting them experiment with music and hear a wide variety of genres. We share all sorts of music with them, and they let us know what they like. It’s so fun to share this with them and brings us closer as a family. It makes us feel really happy to be able to share this love of live music with them. And of course, we hope they’ll also have a chance to go to many music festivals as they grow up. Hippe Gasten is a rock band made for kids. They take kids seriously and use their creativity to make music that kids love and parents enjoy too. Their show is energetic and interactive, with the band members getting kids up on stage to show them how to be rock stars. Lucky Diaz and the Family Jam Band are two-time Latin Grammy Award and three-time Emmy award winners. They are the stars of PBS program Lishy Lou and Lucky Too, a color-splashed, family-friendly variety show. Their catchy song Thingamajig was named “Song of the Year,” and called “a smash hit!” by several parenting publications. What do you think are some of the benefits of introducing children to pop and rock music at an early age? It’s just fun to share different kinds of music with kids. They react to different genres in different ways. And then they try to make music too! Rock music is super accessible for kids because they don’t have to sit still; they can move their bodies to the sounds. Sharing rock songs about kid-friendly topics, like peanut butter and jelly, playing air guitar, and Pippi Longstocking is a great way to get them interested in learning to play an instrument themselves or just to better appreciate music. Rock music is also inspiring to hear. 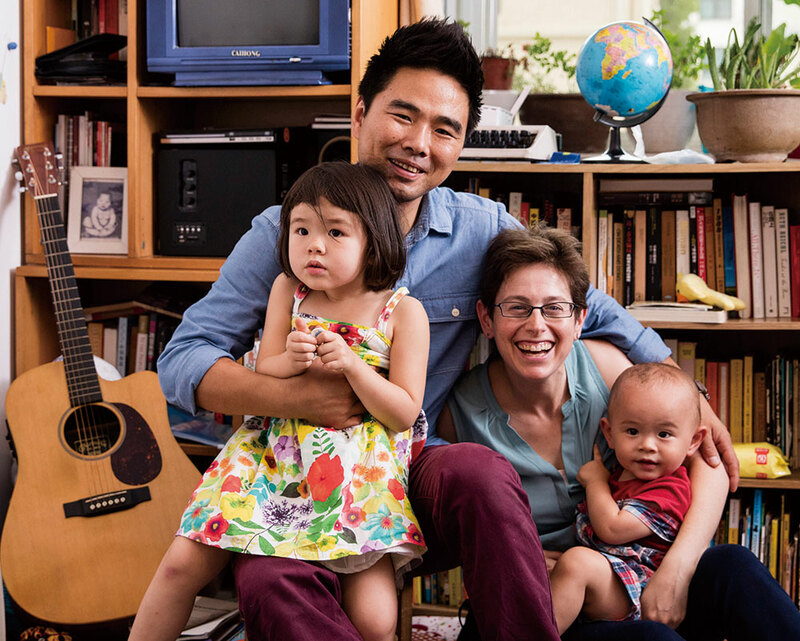 My husband, Liu Jian, first heard rock music at age 16 and it changed the course of his life. From then on, he knew he had to follow his own path. For him, this music festival is a very personal mission. He wants kids in China to hear rock music from a young age so they can dream about music from an even younger age. What else would you like our readers to know about your upcoming event? Taking your kid to their first music festival is a great memory for your family to share and a cool activity for a kid to do with their parents. We’ve put a lot of effort into making Hand in Hand the highest quality and most suitable music festival for families. It’s like a giant dance party! So be prepared to get up out of your seat and dance with the bands for much of the show! 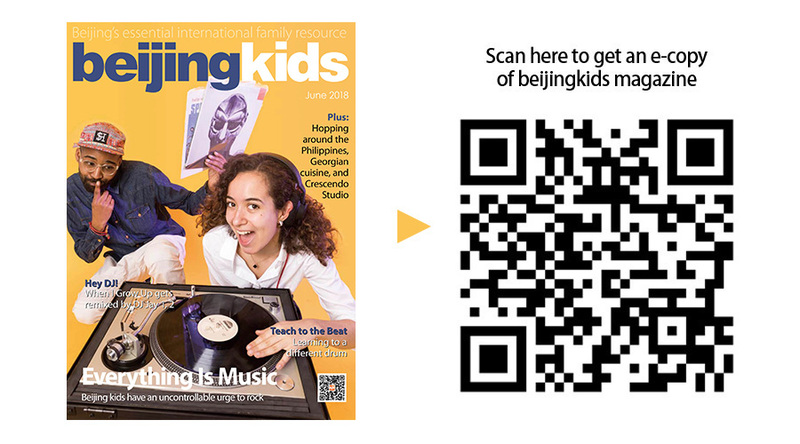 This article appeared on p34-35 of beijingkids June 2018 issue.